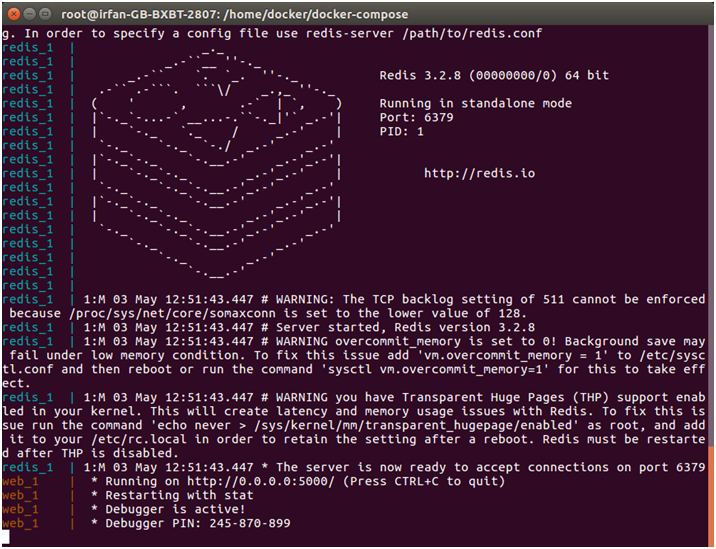 It is a tool which is used to create and start Docker application by using a single command. We can use it to file to configure our application's services. It is a great tool for development, testing, and staging environments. It provides the following commands for managing the whole lifecycle of our application. To implement compose, it consists the following steps. Put Application environment variables inside the Dockerfile to access publicly. Provide services name in the docker-compose.yml file so they can be run together in an isolated environment. run docker-compose up and Compose will start and run your entire app. 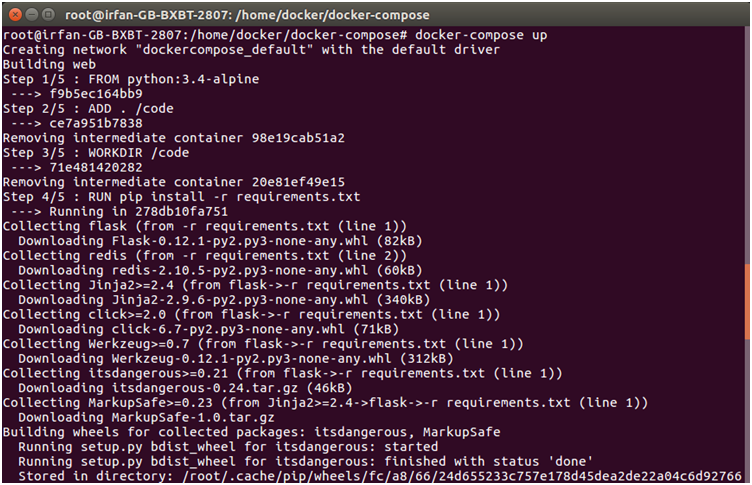 A typical docker-compose.yml file has the following format and arguments. Following are the instructions to install Docker Compose in Linux Ubuntu. It says, permission denied. So, make file executable. 2) Create a file app.py. 3) Create a file requirements.txt. 5) Create a Compose File. version: '2' services: web: build: . ports: - "5000:5000" volumes: - . :/code redis: image: "redis:alpine"
After running the above command, it shows the following output. Now, we can see the output by following the running http url. Each time, when we refresh the page. It shows counter incremented by 1.